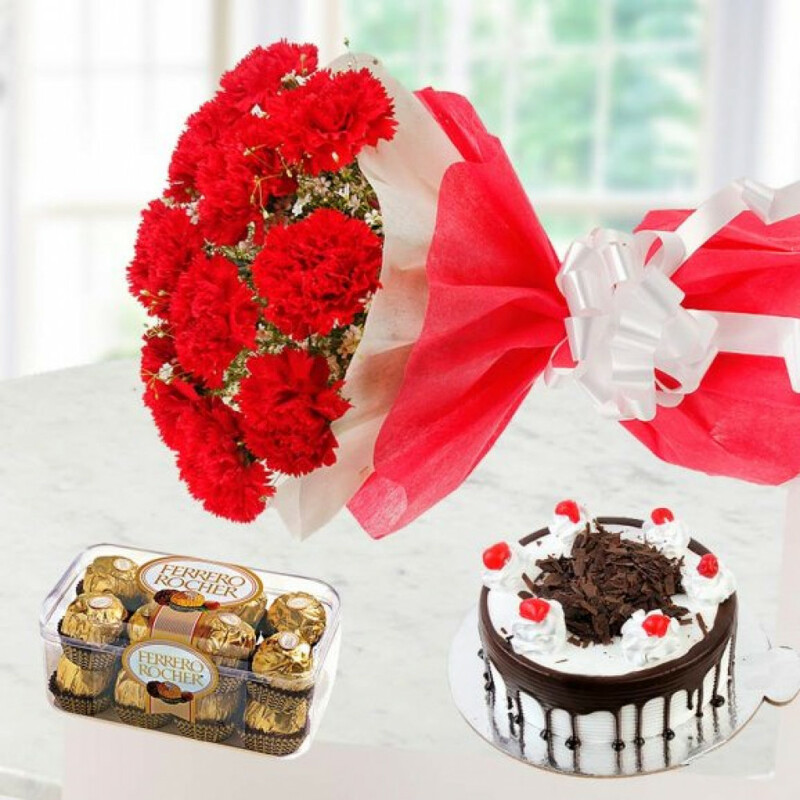 This Combo consists of a bunch of 10 Red carnations, 1/2 Kg Blackforest Cake and a pack of 16 Ferrero Rochers. This is a perfect gift for a Chocolate lover. Chocolate cake plus the exquisite ferrero rochers presented with a beautiful bunch of Red carnations can enlighten any one's day.